Freestyle Revolution is known for its hip skate - grom styles that kids love. 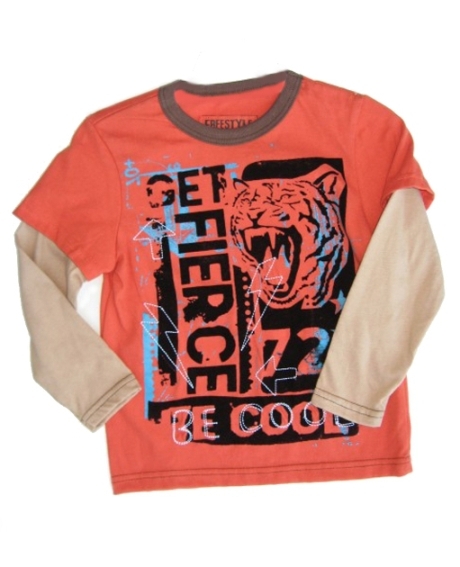 This edition is a layered tee with bold Get Fierce and Be Cool block letters and a roaring lion packs grom power. Burnt orange tee with brown accent neckline and khaki mock long sleeves. Brown flocking, white top stitching and turquoise accent paint create the textured look. Runs True to size. Machine wash. 100% Cotton. 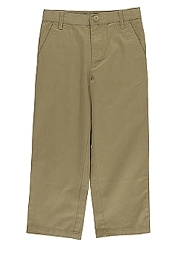 Pair with DapperLads tweed pants for a complete look.